Worldwide Orphans is an NGO dedicated to transforming the lives of children and communities in need. 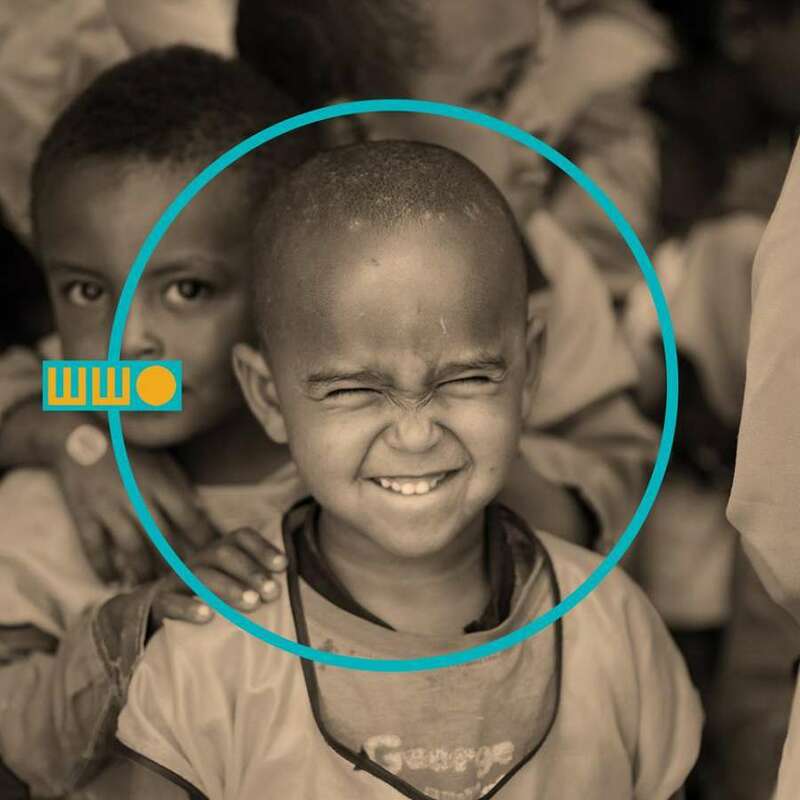 WWO provides education, medical care and innovative psycho-social support so that children can become confident, competent, thriving adults who will change the world around them. CP: Hi Jane! Thank you for sitting down with me. The work that you are doing with Worldwide Orphans is amazing and I’m excited to learn more. Let’s start with what led you to the path that brought you to where you are today. 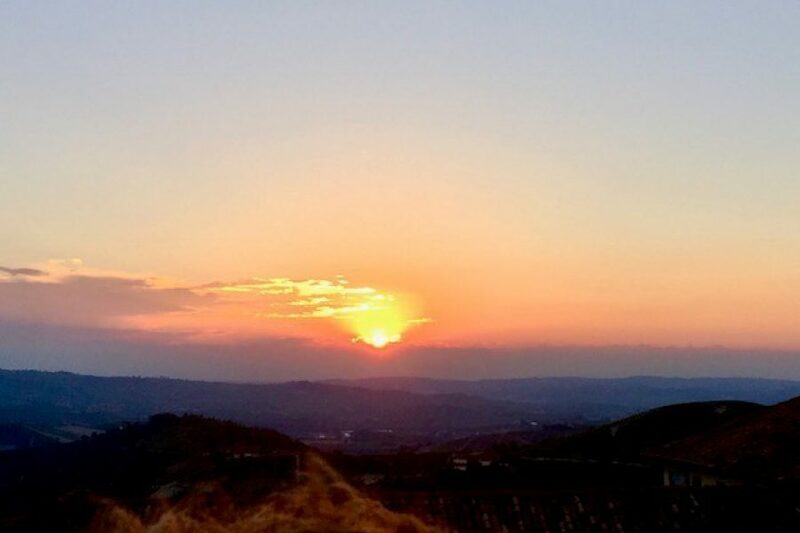 As a young person just starting my journey, I am always curious to know more about what inspires and drives interesting people to do remarkable things with their lives. You were a teacher for 10 years and then you trained and were a practicing pediatrician, did you know from a young age that this is what you wanted to do? JA: I think that everything you do in life has to do with who you become in life. I had this lovely childhood that was all about adventure and curiosity. I was a playful child destined to become a playful adult. A number of things conspired to bring me to teach. My mom was a teacher so I knew that could be a fun and wonderful profession. The dream to become a doctor began when I was 3 years old. It was my destiny. I come from a family where there was one particular doctor, Joseph D. Aronson, who was an infectious diseases doctor who took care of American Indians in the 1920s, ‘30s, and ‘40s. He served Indians in the plains of our nation and then went to Africa and took care of patients in West Africa like Albert Schweitzer did. He served those individuals, focusing on tuberculosis and infectious diseases and many other kinds of infections, like malaria. My Uncle Joe was an exotic guy to me and I wanted to be like him. Growing up in Brooklyn, my father had a little grocery store and I lived there with my family. We would visit Uncle Joe and his wife in Pennsylvania and they were incredibly interesting people. He was a man who was of service and traveled and she was a Wellesley graduate and a birder with a great love for nature. They were academics and fascinating to be around. I’m a person inspired by people. That is important to my story, because I really didn't have the mentors or teachers that probably would have been so helpful to me, but I was lucky that I had my Uncle Joe and my Rabbi, Harold Saperstein, and my dad. CP: You decided to go to medical school after teaching for a decade, what was that experience like? JA: As a beginning medical student at age 31, I didn't have a lot in common with other students. I’d been out in the world and I had a life. I think much of the difference for me was the fact that I am gay and had a partner in my life. I had already lived an adventurous life. I always had a strong sense of justice, fairness and advocacy. From a young age, I was passionate about fighting for what I believed in and being a leader and felt strongly about what I could do in the world. As a teacher in the area of autism at a school specifically designed for kids with special needs. When I went to medical school, I really loved anything that had to do with children's health care and my choice to be a doctor who cared for children was a long time coming. I pursued all the things that one would need to understand about a child's behavior and psychology. I learned about human development and behavior, which is what Worldwide Orphans is really all about. That laid the groundwork for me to do the work I'm still doing. CP: You then went from being a practicing pediatrician to creating a foundation to serve the needs of children. How did that transition unfold? JA: When I was a pediatrician, it was a historically interesting time for medicine in the 20th century because of HIV infection. My training focused on HIV in adults and children. I took an interest in it because I really loved the study of infectious disease, and that was probably the greatest infectious disease we had faced since tuberculosis. By the time I finished medical school in '86, I did a pediatric residency and fellowship. I was chief resident at a hospital in Morristown, where I was exposed to a number of mentors in the area of infectious diseases. I was then able to secure a wonderful fellowship position at Columbia, and it was a great moment for me to be at a very high level academic institution. I became board certified in pediatric infectious diseases, and for 20 years practiced HIV medicine. I had a clinic for HIV patients at Einstein Jacoby and then I went and recreated something similar at Winthrop Hospital for 10 years. International adoption was exploding. There was no infectious disease department for children at Winthrop so I developed a clinic for infectious diseases. Adopted children from abroad had a lot of infectious diseases, so more and more people were calling me. I got referrals to treat babies being adopted from China, Russia, and Latin America. I started to talk to families who were working with agencies all over New York City, Upstate New York, Connecticut, Massachusetts, Long Island, Queens, even as far as Chicago, California, and Florida. At that juncture, the focus of my practice was more and more adoption medicine and then I started to refer HIV patients to other HIV clinics. That’s when I developed an adoption medicine clinic. CP: Was adoption medicine a brand-new specialty at the time? JA: This was a new thing to create a specialty around adoption. Before, people were practicing their specialty or there were general pediatricians, then we all started to see huge numbers of children being adopted from abroad. CP: What was pushing that increase in international adoption? JA: I love that question because it’s rarely asked. I think many people were divorcing and remarrying. Maybe they didn’t have a family early in their life and might not have been able to have a birth child. They wanted to have families in their 40s, 50s—a new phenomenon at the time. How were you going to have that family if you could not give birth to the child? Fertility treatments were just beginning, so what were the choices? International adoption and domestic adoption. People got excited about the idea of taking care of children who were living in orphanages. There were probably hundreds of thousands of orphanages all over the world. We got rid of orphanages around the '60s and we replaced orphanages with foster care, for better or worse. It was not great, but it was better than having kids institutionalized for long periods of time. This began the great wave of international adoption. There was a wave after the Korean War and another after the Vietnam War when GIs from many countries including America developed deeply important long-term relationships with Vietnamese women. Many of those babies born were American-Asian and ended up in orphanages or in the care of single women who were stigmatized. When the war ended in 1975, those babies were part of the airlift, about 4,000 babies came out of there and they went to Australia, the United States, Canada, and other countries. Those babies, who were adopted by Americans, along with those Vietnamese adoptees, later wanted to find their roots and formed a group together. I became a part of a group called VAN-- The Vietnamese Adoptee Network. Then the journey became even more personal. JA: I adopted my son Ben from Vietnam in the year 2000, when he was 4 months old. I wanted some mentoring so I found myself a very lovely young man who didn't realize I was going to bring him a four-month-old. He thought I was adopting a four-year-old! But, my little Ben, who is now 18, was mentored by a lovely Vietnamese adoptee who was adopted by a Quaker family in Pennsylvania and that began a whole other area of my education in the area of adoption. All types of families were really looking at adoption and I saw the plight of orphaned children all around the world. I focused on the tragedy of orphans in institutions where they were warehoused, unstimulated and traumatized. There’s the trauma of abandonment and then there's the trauma of being institutionalized, not cared for, unloved, not being fed properly, being exposed to lots of infectious diseases, and having undiagnosed medical conditions. CP: Tell me about the start of Worldwide Orphans. JA: It was founded on September 11th, 1997. I was lucky to grow up professionally in a time when I could explore international global health and learn about HIV in a very different way. It was just a miracle that we were able to find the virus, understand its structure, and start creating medicines to conquer it. Now it has become a chronic but manageable disease, but in my early career, into the ‘90s and starting in the ‘80s, HIV was a disease that couldn't be treated and caused deadly opportunistic secondary infections. This history was a part of my career and it was amazing, but no one had those treatments abroad. 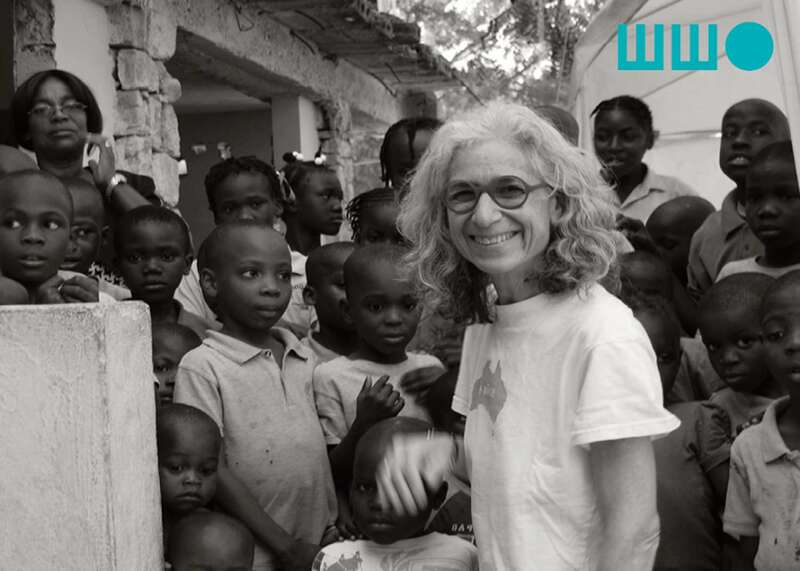 When I started WWO I was able to travel abroad to different settings to see children with HIV. 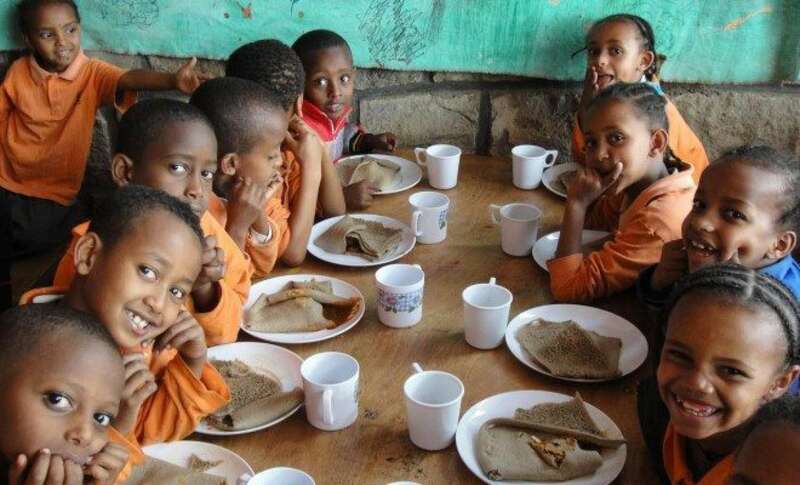 I was invited by different organizations to help kids with HIV and children in orphanages who were separated and stigmatized, so I treated HIV in Ethiopia and Vietnam as part of my foundation's work. We started sending volunteer students and doctors and psychologists and social workers and nurses. We called them Orphan Rangers (because I loved The Lone Ranger, a radio and TV program from the '50s). My first Ranger went in 1998, my second in 1999, and they went off to work in Russian orphanages and many other countries thereafter. CP: It sounds like trafficking was rampant. JA: I actually don't think it was, to be honest with you. What ended up happening with Hague is that it ended up leading to the demise of international adoption. I feel like the moral code operating around all of that should have moved us to help people to be better cared for and educated in their own countries, so that they could keep their babies. That's really the gold standard, for the country itself to create a social welfare infrastructure like we have here in the US. To get women good prenatal care, allow them to get educated, and enhance the lives of women so that they can have a good and healthy families, and keep and love their babies—that should be the goal. That was the sad part of Hague—the fact that there was no investment in the countries themselves. CP: Did this impact WWO’s mission? JA: Yes, a bigger part of my mission became the investment in childhood. I reached a point where I could see that adoption was not the only answer to helping orphans. According to UNICEF data, probably already 20 years ago, there were 150 million children living without parental care in the world. Now, there are hundreds of millions out of 2.2 billion children who are in the street, or are child prostitutes, or child heads-of-households, child soldiers, trafficked children and street children, homeless, refugees, or displaced children…all of the categories of child in adversity: war, conflict, and natural disasters. Tony Lake, the head of UNICEF, once said that it was unacceptable and outrageous to have children living in any of those categories. The foundation just took off because I really felt like, “my God, now I have the information, and now I can go into these communities and help those communities!” I wanted to understand the conditions that children lived in because I wanted the families to understand, "this is what you need to help your kid." If you want to maximize that child's life, you're going to need to understand the developmental delays, the medical conditions, the effects of malnutrition, the effects of lack of attachment, reactive attachment disorder, behavioral issues, etc., so I took all that information that I was getting from the work of the foundation and I used it to help my patients. CP: What is most significant about what WWO has done and is doing for the children & families in these communities? We help them in many ways, but it's really about building capacity. We are capacity builders. We stopped bringing guests to run things. All of our programs are run by people born and raised in the countries where the programs are. The country directors and staff are people who grew up in that country. They will grow to become strong leaders and will be proud of the work they did to help children like themselves. The key is to build strong teams who take care of kids, who may have been orphans themselves, and then to further figure out how to truly reach children in a way that's addressing the trauma of an orphan: the loss, the abandonment, the hurt, the abuse. It is what we live for. The vision of the foundation is to heal that trauma and provide services for those kids, so that they won't end up with long term trauma. Toxic stress is discussed by great academicians. I saw it first-hand in the field, in Romania, Bulgaria and Russia and many other countries-- trauma visited upon children, abused kids left abandoned in the orphanages and institutions, children treated in an unimaginable fashion. It’s emotional for me and makes me just want to do more. That's what WWO is about. JA: In the late ‘90’s I saw this toy library in St. Petersburg, It was an early intervention institute run by two sisters and a mother; they were psychologists who were using this institute to help very delayed kids, some of who came from orphanages or had underlying medical conditions like cerebral palsy or genetic disorders. They were teaching parents to encourage development and to play with their children using these toys and other kinds of therapies. That was the beginning of my interest in Toy Library and our trademarked “Element of Play.” At WWO we have continued to grow and improve on a basic idea. We have a reading component, music in motion, a language component and a play component. We have 120 curated toys at our Toy Library. Smart Gear is a group down in South Jersey who has given generously and we love them. We got into a partnership with Mattel and Fisher-Price, and we've been given lots of toys and kind donations to fill the shelves of Toy Libraries. We have also created a science to Toy Library. The piece that's most important about Toy Library is that we educate the adults. We actually train adults. It's not a parenting program necessarily. We train adults in the community. You want to come and learn how to play? These are the toys. Put them together. You can play with them. It is more than playing with toys…you've got attachment between adults and children. The adults are play specialists, and they are learning over and over and over again with training and practice. They are learning more about the development of children and they are becoming very informed adults in their communities. That's the theory of change that I talk about in the work we do here and abroad. It’s the kind of work where you are trying to help the community and rebuild the scaffolding of a community. You're always looking for a theory of change, like how do we make this better? This is happening in communities all over the world where there is trauma, toxic stress, children who can't perform, who are depressed and sad and not doing well in school. How do we change that? Well, I think we need to change the adults. We can't just fix the kids without helping the adults so they learn more about their kids, become better parents, become better community members. Our goal is to change the community, so that the community becomes independent and successful on its own. Then, the world as we know it can be transformed. We could really move that needle away from the kind of terribly distressed communities that exist in the world. CP: Where are you and WWO Today? JA: WWO has just transformed into something I never imagined-- it just kept growing. It's a developmental entity, just like how children grow. Like you. You can look back at your life; you can look at pictures and see yourself as a little infant and a toddler, and you can have memories of yourself from school age, and then middle school, and high school, all the way through college. You have grown and you're still growing. You are becoming. 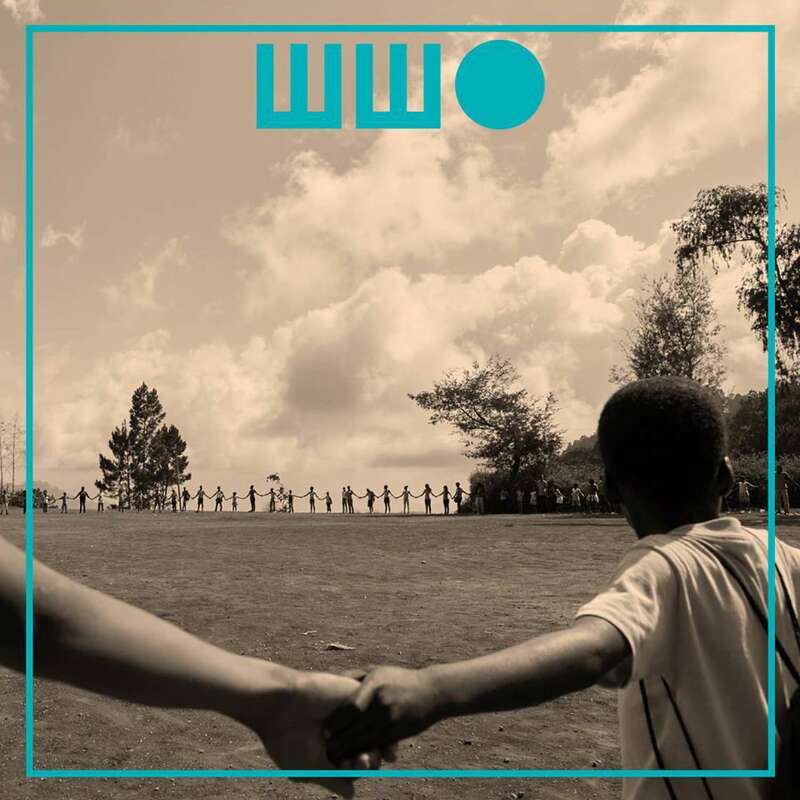 And that's what was so beautiful about WWO-- that the growth of the organization parallels the growth of the kids. We are now twenty-one years old. We have had adventures. We have experimented. We have made mistakes. We have had successes and we have dreams. CP: What is your dream? JA: I would love to have Toy Libraries everywhere on the planet. We can have thousands of Toy Libraries everywhere, and the people in the community could manage them. We would just continue to train all the time. Go back and do a refresher course, we could develop a business model where we would be paid for our trainings, and then that would be the revenue stream that we could then feed into more Toy Libraries. CP: This has been amazing Jane. How can people get involved and help? JA: We need people to step up so we can really scale. Like any business, we need attention and we need investment. Once we get on our feet with investment, it becomes sustainable. I would like help to create a Toy Library investment fund where big corporations can invest millions of dollars with us. 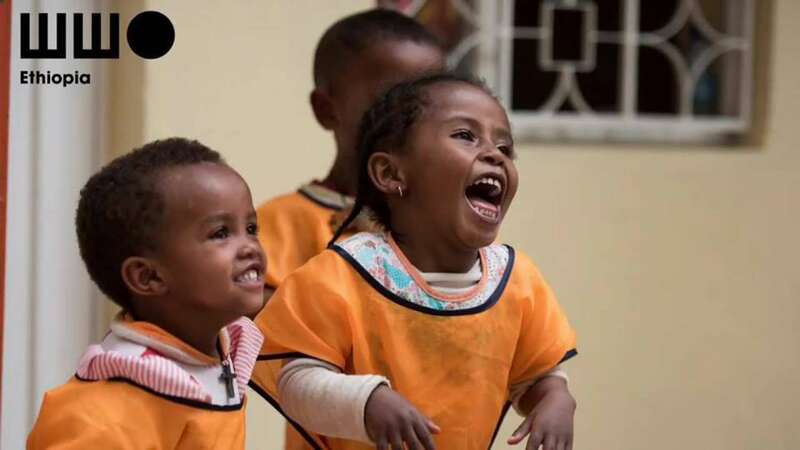 They can say that the toy libraries, which involve entire communities and actually transform communities, are supported and sponsored by them and by anyone who’d like to get involved! I want more people to hear about the work that we are doing and the difference that it makes in a child’s life, in a community, and to humanity. CP: Thank you so much. It was truly a pleasure. For more information, visit wwo.org or search for @wworphans on Facebook, Instagram, and Twitter. Wendy Maitland opens up about "living" in the digital age of mass (and mis) information.